Recently we had a customer who was working on troubleshooting a FANUC CNC Power Supply alarm that he had on a machine. He was wondering what the different codes stood for, so we wanted to go ahead and list the different alarm codes for this series. These codes apply to power supplies that start with the following prefixes. The “X”s after the H will be numbered, so an example part number is A06B-6087-H130. Here is a list of the alarm codes for these series of Power Supply Modules. Overcurrent flows into the input of the main circuit (PSM-15 to –30). AL02: A cooling fan for the control circuit has stopped. AL03: The Temperature of the main circuit heat sink has risen abnormally. AL04: In the main circuit the DC voltage (DC Link) has dropped. AL05: The main circuit capacitor was not recharged within the specified time. AL06: The Input Power Supply is abnormal (open phase). AL07: In the main circuit the DC Voltage at the DC link is abnormally high. Be sure to check out our article covering FANUC CNC Troubleshooting Frequently Asked Questions here. For more information or to get a quote on a FANUC power supply, please call 800-691-8511 or email sales@mroelectric.com. We also provide repair services for FANUC Power Supplies. Question: Is it possible to program the Telemecanique 140-CPU-651-50/651-60/671-60 with Concept 2.6? Can you use Unity software for programming Modicon Quantum 140-CPU-434-12A/534-14A PLCs? As both the 140 CPU 434 12A and 534 14A Quantum CPUs are compatible with Concept or ProWORX software, they can be upgraded to be compatible with the Unity Pro software without any hardware modification. This process of migrating from Concept to Unity Pro is achieved by updating the CPU operating system. This update is performed with the aid of the OS-Loader tool included with Unity Pro. The 2 upgraded processors (140 CPU 434 12U/534 14U) are then equivalent to the corresponding Unity processors. MRO Electric and Supply maintains a comprehensive stock of new and used Modicon Quantum parts including Quantum CPUs. If you need a replacement part, please call 800-691-8511 or email sales@mroelectric.com. error occurs. 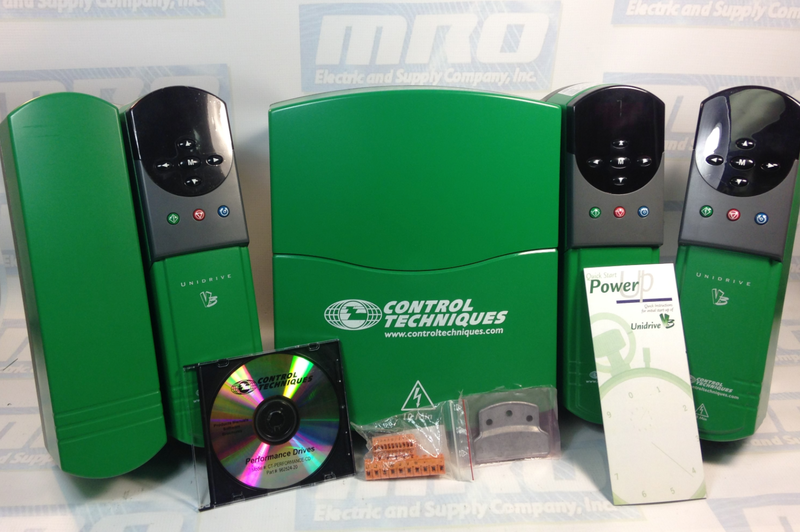 MRO Electric and Supply maintains a comprehensive stock of new and used Control Techniques Unidrive and Control Techniques Unidrive Classic SP parts. If you need a replacement part, please call 800-691-8511 or email sales@mroelectric.com. Note: The watchdog trip can be disabled by setting #17.18 to 0. 52, trip 60 with certain option cards, the Watchdog trip (Prc2) and any other normal drive trips. The line number is only available when the program was compiled with debugging information. Any other trip numbers that appear are either generated by the drive itself or the DPL program. Lastly, be sure to check out our article covering Unidrive Security Code Basics here. 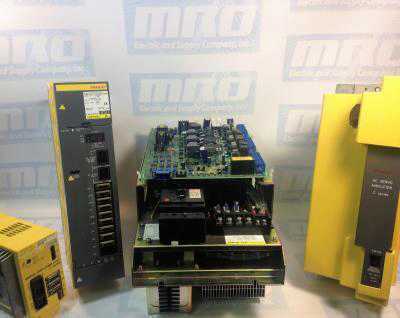 MRO Electric and Supply maintains a comprehensive stock of new and used FANUC CNC and FANUC Robots parts. If you need a FANUC replacement part, please call 800-691-8511 or email sales@mroelectric.com. Last week we had a customer who was running an RNC 16 STAR 1990 vintage machine which failed so he decided to replace the main A16B-1010-0280 motherboard. His original problem was that he was receiving a 401 [VRDY Off] Error which then led to a 911 Error. When he replaced the A16B-1010-0280 motherboard, the machine would go directly to the 911 Error. The first thing we checked for was to make sure that he transferred over all of the EEPROM modules from his original board to the replacement board, which he did. Since that wasn’t the issue, we double checked on the 911 Error, which shows as a RAM PARITY ERROR in the manual. The main cause of this error is an issue with the memory in the unit, which is caused by the memory board failing or losing the parameters in the system. To check to see if the memory board was causing it or not, you can turn the control off, reset it, and delete the parameters. If this clears the alarm, the control would come up with a different series of servo alarms meaning that the parameters need to be reloaded. If the Fanuc 911 Error comes back it would mean that there is a problem with the memory board which needs to be replaced. Before trying any of this, be sure to confirm that you have all of the parameters saved so you can load them back in. Check out our article on IT and Robotics here. Once the 911 Error was cleared, the customer was able to load the parameters back on to get the machine up and running.